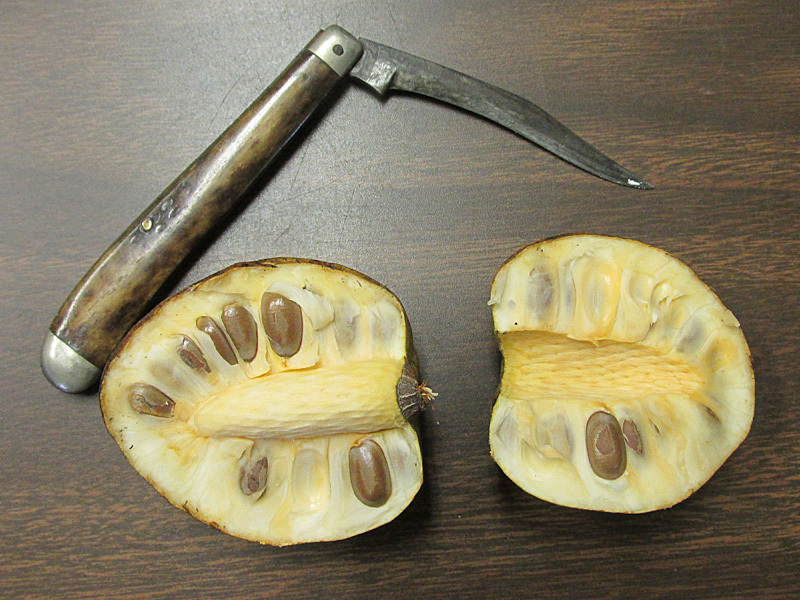 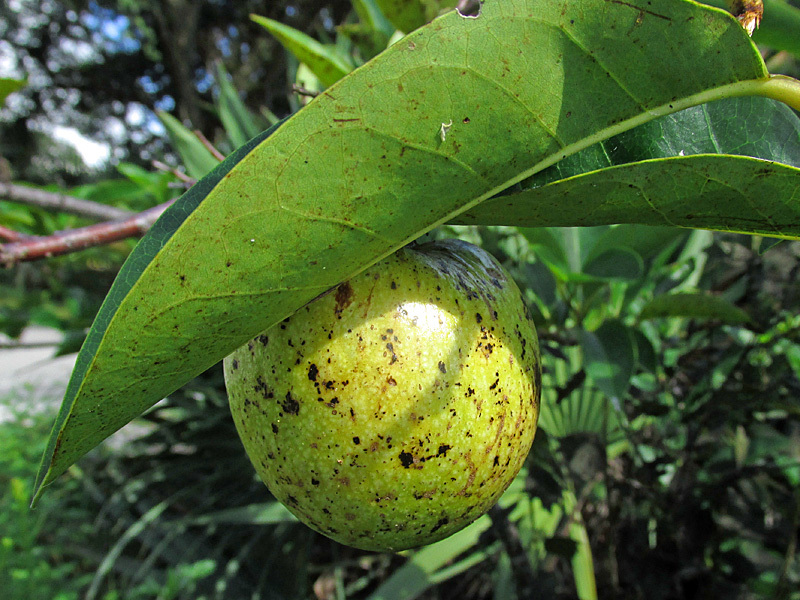 The fruit on the pond apple (Annona glabra) at the entrance to the Florida Medical Entomology Laboratory is now ripe. 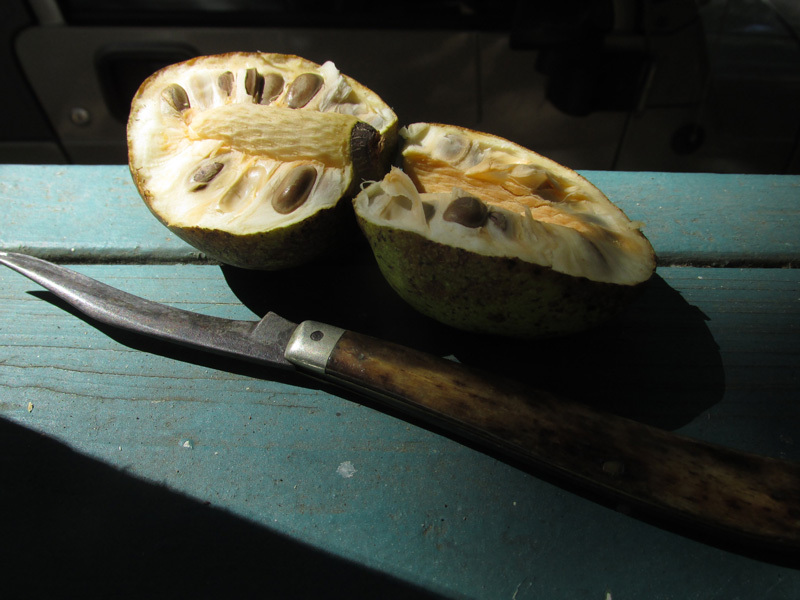 Special thanks to Bob Montanaro for photo lighting lessons and for the old-fashioned citrus knife with which the fruit was cut open. 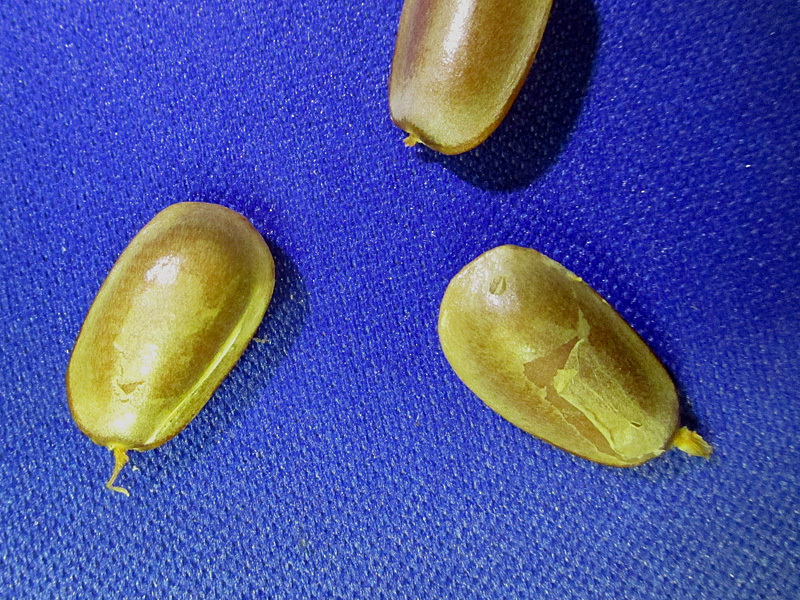 Note the hilum, the mark on the seed coat by the comer attachment to the ovary wall.